These are the tragic photos which prove the bonds of motherhood know no bounds. 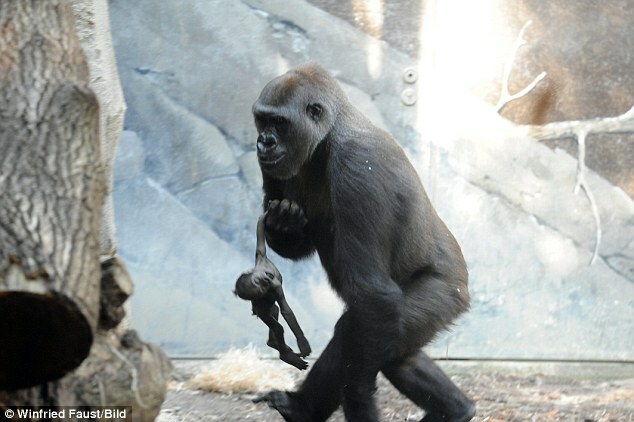 A gorilla called Shira walks frantically through her cage at Frankfurt Zoo in Germany, desperate for her dead baby to wake up. Grief is etched on her face as she carries her, cuddles her and sometimes shakes her. But her toddler died after a week and she cannot fathom why. 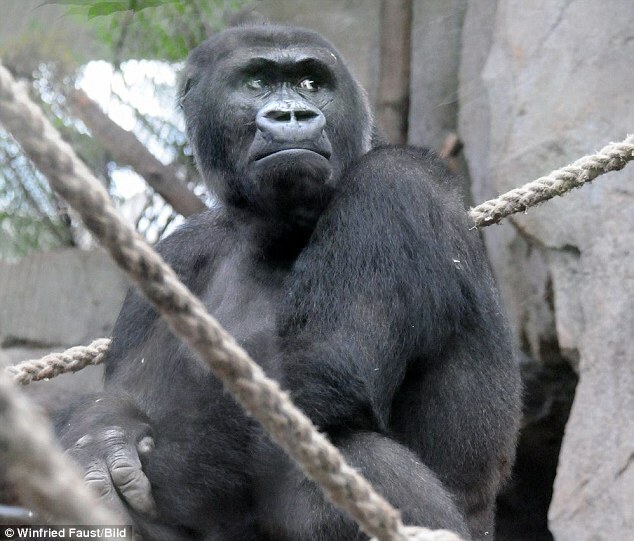 At night she lays the dead gorilla across her stomach and wakes up with the same perplexed look on her face when her baby doesn't stir. 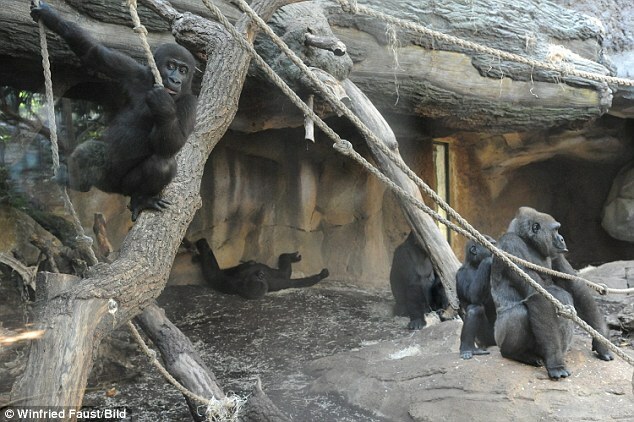 Zookeepers intend to retrieve the dead infant when her ten-year-old mother finally lets go of the corpse for an autopsy. 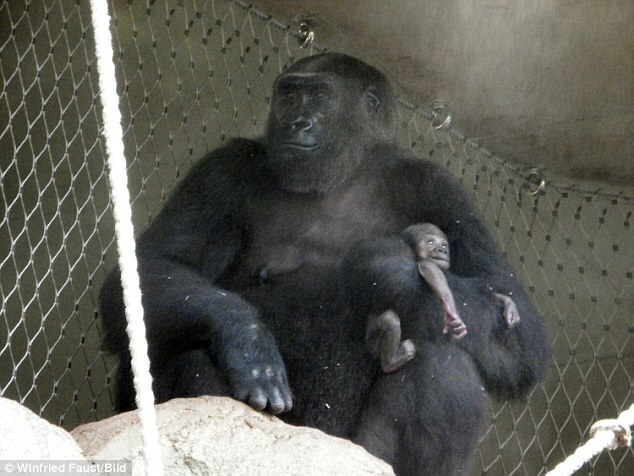 Prof Niekisch said of her all-too-human reluctance to relinquish the baby: 'This is often the case with gorillas. 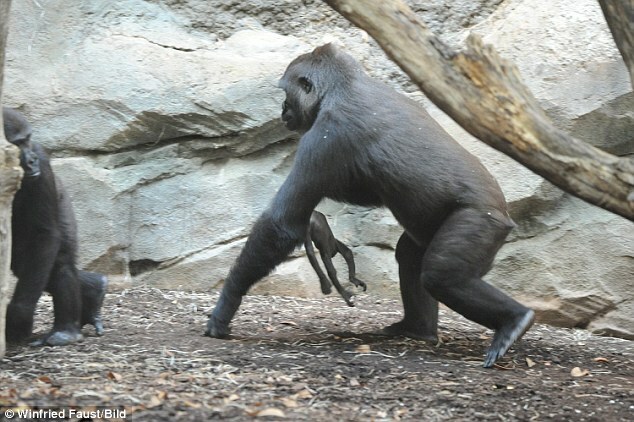 The bond between mothers and their babies is particularly close. 'Shira needs time and space to come to terms with her loss.' 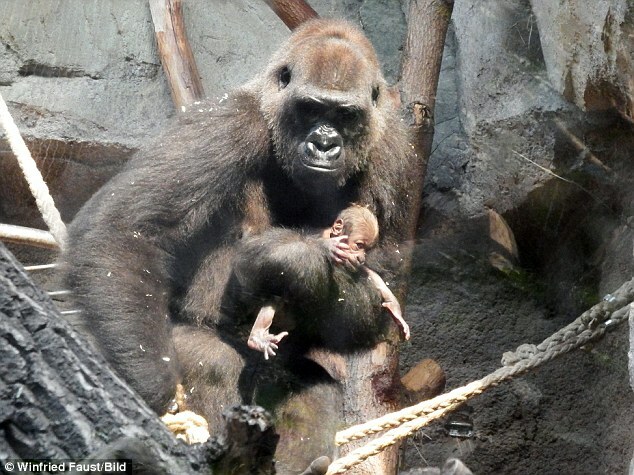 The baby is the second that she has given birth to - and tragically, the second to die. 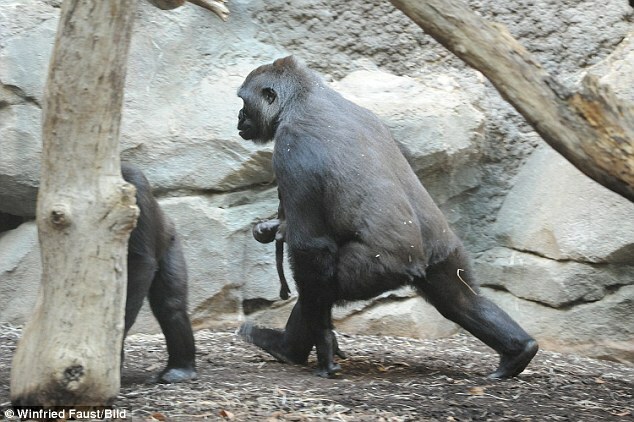 In May last year her son Tandu died at the age of six months after catching a lethal viral infection. Then, like now, she cuddled and cajoled him to wake up in vain. Then, when she realised all hope was gone, she laid him in a quiet corner of her enclosure and walked away to mourn alone on her bed. 'We will wait until she gives the baby up, retrieve it and find out what killed it,' added Prof. Niekisch.